By the time a driver is legally drunk, the driver likely has trouble concentrating, difficulty controlling his vehicle, impaired perception, and reduced information processing abilities. The results can be catastrophic. In 2016, there were 11,264 alcohol-related crashes in North Carolina that resulted in 402 deaths and 8,189 injuries. These alcohol-related crashes accounted for just 4.2 percent of all North Carolina crashes that year, but they accounted for 27.9 percent of all crash-related fatalities and 6.3 percent of all crash-related injuries. For these reasons, drunk driving cases are treated differently than other car accident cases. The legal issues and potential damages are different than other types of motor vehicle crash cases, and if you have been hurt by a drunk driver then you need to know what to expect. It is against the law to drive while intoxicated in North Carolina. For people driving non-commercial vehicles who are over the age of 21, driving while intoxicated means having a blood alcohol content (BAC) of 0.08 percent or higher. For people over the age of 21 who are driving commercial vehicles, driving while intoxicated means having a BAC of 0.04 percent or higher. For people who are under the age of 21 and who are driving any vehicle, driving while intoxicated means having any alcohol detected in their blood. If a driver violates the drunk driving law, as described above, then the state of North Carolina may bring criminal charges against him. If convicted, the driver faces significant potential penalties which may include jail time, fines, and license suspension. The amount of jail time, fines, and license suspension depend on whether the driver has been convicted of drunk driving before along with other factors. These penalties may be imposed whether or not an accident occurred. A criminal case will not, however, result in damages being paid to any victims of a drunk driving accident or the victim’s survivors. However, victims or their survivors may be able to recover financial damages in a civil lawsuit. Civil lawsuits may be brought regardless of whether a criminal case is initiated or how it is decided. Civil and criminal cases are independent causes of action and civil cases are important if you have been hurt, or a loved one has died, in a drunk driving accident. Additionally, in drunk driving cases an injured party may recover punitive damages. These damages are meant to punish the driver rather than to compensate the victim for the harm that has been done. However, it is the victim who receives the financial benefit of punitive damages if such damages are awarded. In North Carolina, punitive damages may be awarded, “to punish a defendant for egregiously wrongful acts and to deter the defendant and others from committing similar wrongful acts.” In most cases, no more than $250,000 may be awarded in punitive damages. However, North Carolina specifically exempts drunk driving cases from this cap and allows the amount of punitive damages to be decided by the court. The point of a civil personal injury case is to compensate you for what happened and to hold the driver accountable. Our experienced car accident lawyers can help you do that by investigating the accident and filing a civil car accident case before the statute of limitations expires. If you have been hurt, or your loved one has died, then we encourage you to schedule a meeting with us to learn more. You are welcome to come to one of our conveniently located offices or we will visit you in your home or at the hospital. To learn more, please contact us via this website or by phone today. 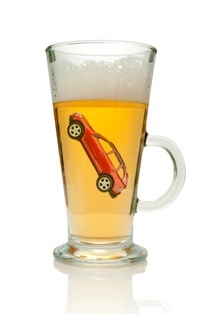 Can I Recover for My Injuries If the Driver of My Car Was Intoxicated? How Much Is My North Carolina Injury Case Worth?